Home » Design » Bravilor Bonomat mondo 2, Super electronic. Bravilor Bonomat, mondo 2, Super electronic. 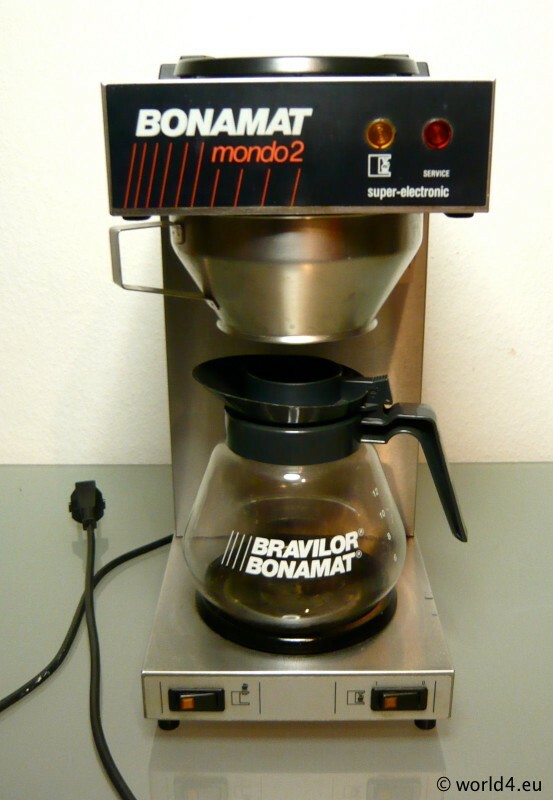 Industrial coffee machine Bravilor Bonomat mondo 2, Super electronic. The specialty of this coffee machine, which automatically adjusts the temperature of the contents of the coffee pot. Coffee and tea brewing machines equipped with decalcification, acoustic signal in brewing, water inlet opening of the Front, stainless steel water heater and Boil dry.